Native Americans, known today as the Timucua, begin to occupy the region that spreads from present-day Central Florida to Southwest Georgia. 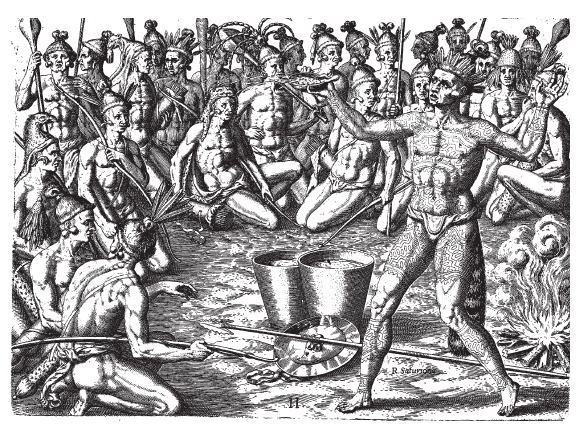 The Timucua were a loosely-knit confederation of tribes that shared a common language, but were not bound politically as a common people with a common governing body or headman. They would trade with one another, but also go to war against each other. Ponce de Leon sights La Florida at 30º 8’ and comes ashore at a Timucua village tucked safely into a small harbor off the Atlantic Ocean. Believing the area to be an island, Ponce so named this beautiful “new land” La Florida because it was sighted during the Festival of Flowers at Easter time. The village of Seloy was centered here at the Fountain of Youth and extended about one mile to the north and one mile to the west, up to the San Sebastian River. He Sailed with three ships Santiago, Santa Maria & San Cristobal. Pedro Menendez de Aviles founds the city of St. Augustine at the Timucua village of Seloy, located at today’s Fountain of Youth Archaeological Park. Menendez would remain at this site for nine months before growing hostilities between the Spaniards and the Timucua would lead him to move his fortifications across the river to what is now Anastasia Island. The first Catholic mission in the present-day United States was established on this site. The Catholic mission system would grow from its headquarters in St. Augustine, spreading from Tallahassee to the lower sea islands of South Carolina. 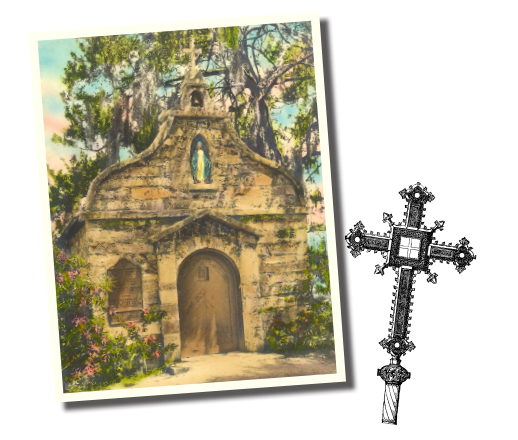 Catastrophe would strike from 1702-1704, when English raids during Queen Anne’s War (1702-1713) wiped out the Spanish missions in this region – the last of the remaining Timucua would disappear with them. Henry H. Williams purchases a large piece of land just outside of St. Augustine from Paul Arnau for $2,500 (2017 value of $41,533). 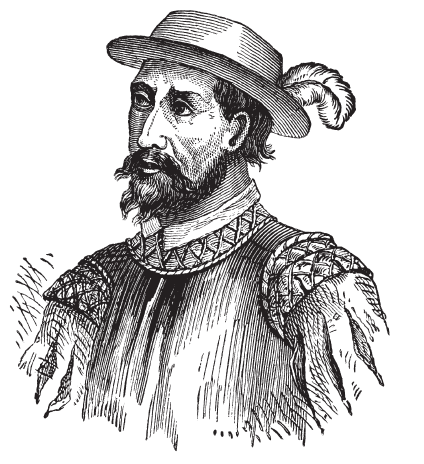 Williams was familiar with the history of Ponce de Leon and experienced his first visitors that same year. 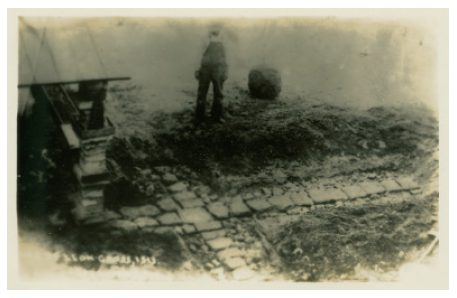 A cross made of coquina, 15 stones long x 13 stones wide, is unearthed by B.A. Pacetti, an employee of H.H. Williams. Pacetti would sign a legal deposition as to the circumstances under which he found the cross. Unfortunately, Williams was told that coquina was not available on the mainland in 1513, and had the cross re-buried. 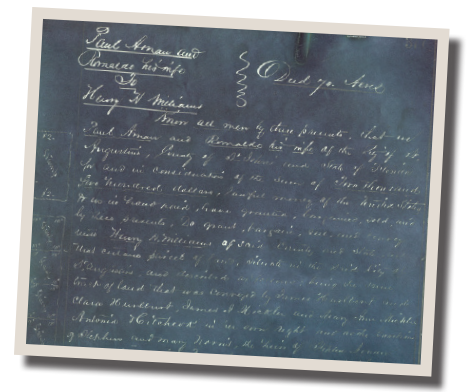 Mr. Williams sells the property to Dr. Luella Day MacConnell, who made her fortune in the gold fields of the Yukon in 1898. Mrs. MacConnell, who told everyone in St. Augustine that she had acquired the nickname Diamond Lil while in Alaska, aggressively marketed the property as the Fountain of Youth. An employee of Mrs. MacConnell’s re-discovers the cross of coquina, as well as a silver casque containing severely worn documentation that has since been proven to be of a parchment and ink that was contemporary to the era of Ponce de Leon’s landing in Florida. Mrs. MacConnell begins a quest that will last until her death to verify the find and prove, once and for all, that she owned the site Ponce de Leon’s fabled Fountain of Youth. 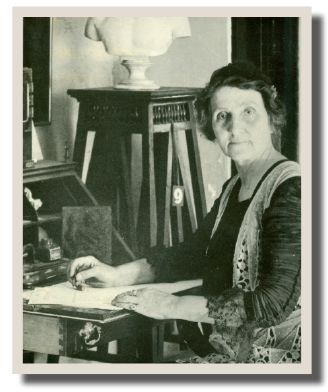 Louella Day MacConnell dies in a car accident on June 23, 1927. 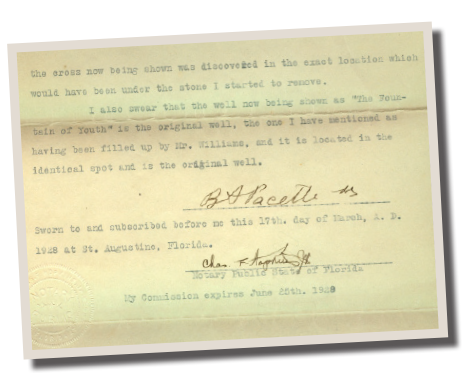 On August 15th Walter B. Fraser purchases the Fountain of Youth properties from Edward McConnell for $100,000 (2017 value of $1,406,816). 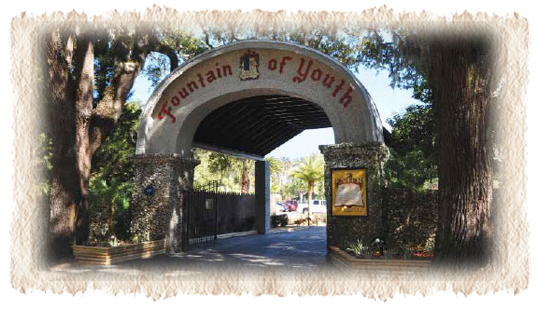 Much to the chagrin of the St. Augustine Historical Society and Scientific Institute, Mr. Fraser maintained the property as an attraction to educate the public about Juan Ponce de Leon and the Fountain of Youth. Mr. Fraser believed in the historical traditions of the property and sought to secure this site’s rightful place in American history. Work crew finds human bones while digging on the Fountain of Youth property. 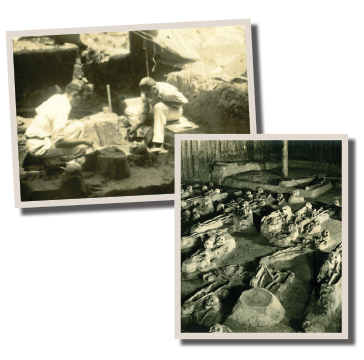 The University of Florida and, later, the Smithsonian Institution will excavate 90 Native American remains. The find is significant due to the fact that these are the earliest known remains of a Christian burial of indigenous peoples in what is now the United States. 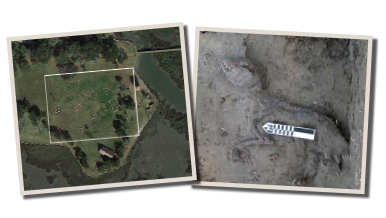 More archaeological digs on property, prompted by further research by the University of Florida. 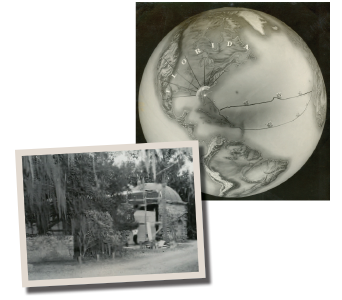 A scientific breakthrough, the Discovery Globe is touted as one the finest examples of the new emphasis on technologically advanced educational tools in the United States. 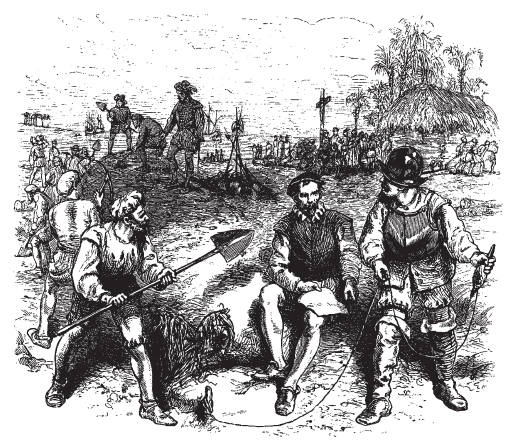 The Smithsonian Institution requests assistance from Mr. Fraser on a similar, but much smaller, project of their own. 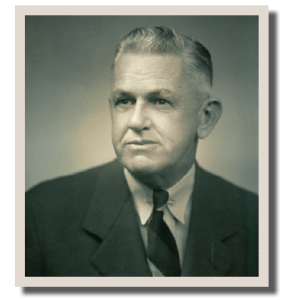 After suffering a series of strokes throughout the 1960s and early 1970s, Walter B. Fraser passed from this life. 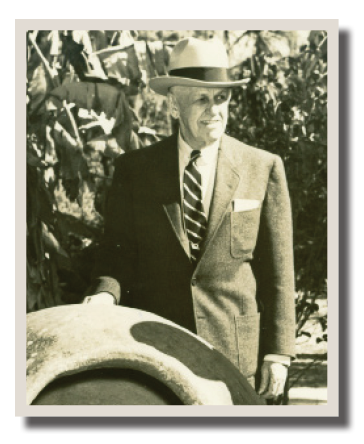 He took a roadside tourist attraction with a shallow well and an orange grove and turned it into a world-class theme park that focused on historical accuracy and technological advances, rather than cartoon characters. His passion for St. Augustine was as deep and enduring as his drive to promote and stimulate the economic and political stability of the city he loved. 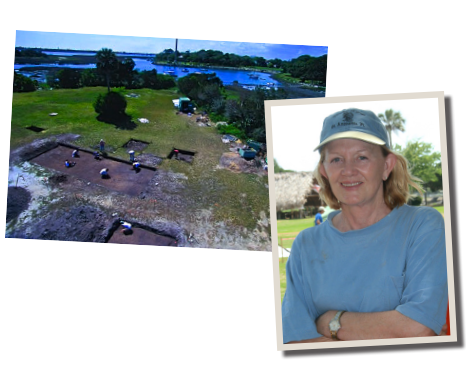 Dr. Kathy Deagan begins what would end up a 25-year search, through her many excavations at the Fountain of Youth property, to find the site of Pedro Menendez de Aviles’s original location of St. Augustine. 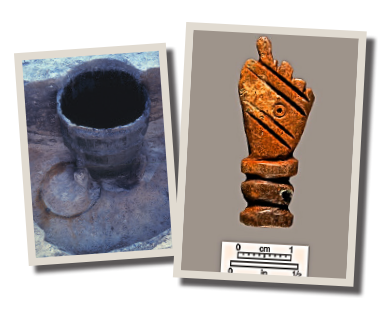 University of Florida Graduate Ed Chaney Makes an Important discovery when his team locates a Spanish Well filled with 16th century artifacts. 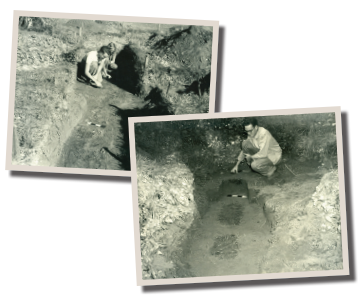 1987 Deagan’s Team uncovers a series of long narrow trenches which revealed some of the first Spanish structures foundations. Gardner Gordan uncovers Spanish buildings and burial of a pet dog that dates back to prehistoric times, about five hundred years before the Spanish arrived. 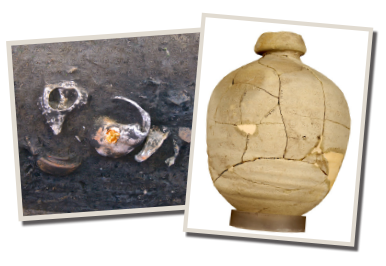 Dr. Kathy Deagan Teams up with St. Augustine Archaeological Association and find a second barrel well, in that well they discover an olive jar used for storage from the 16th century, a candle holder and a scoop made from a conch. The Fountain of Youth Archaeological Park continues to provide historical accuracy to family fun. Our Spanish Watchtower, Historic Boat building Program, and Timucua Theater are classic additions to our on-going commitment to keep Walter Fraser’s dream alive!